Live your most luxe life without breaking the bank. Let’s face it: Not everyone can be Gwyneth Paltrow and drop $1,000 on a casserole dish. Some of us have other frivolities like “rent” and “groceries” to prioritize. But what’s a design aficionado to do with high-end taste on a high street budget? Get creative, that’s what. Stylish finds that look luxe actually do exist at every price point—it just may take a bit of searching to find them. Which is why we’re taking the work out of the equation and doing the searching for you; ahead, our favorite luxury-looking products at surprisingly affordable prices. Nothing screams opulence quite like gold cutlery; and while this set may not be legitimate gold, your dinner guests will never be able to tell. This cheery yellow towel set is proof that you don’t need to sacrifice your savings for high-quality materials like linen. A different, hardier material than your standard ceramic, these little cast iron bowls will even make your morning bowl of granola feel special. Get in on one of the year’s hottest materials in a tiny (and inexpensive) way with concrete spice holders. A ’50s classic gets a modern revamp with a cool matte black finish in this sleek dining chair. 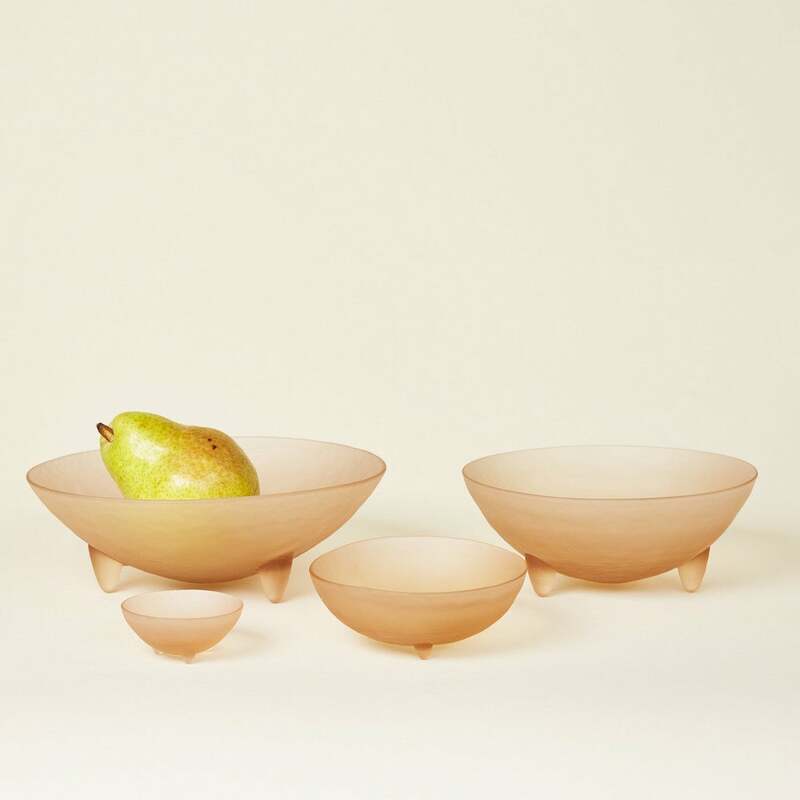 Delicate and slightly imperfect in their composition, these glass bowls make the ideal casual centerpiece for your dining table—just fill with fruit and you’re good to go. For when you’re gifted with high ceilings and need an instant statement-maker for your dining room. A step up from your standard glass servingware, the polished marble topper on this pitcher makes it something you’ll want to keep displayed on your table during the dinner party or brunch. Marble and gold just may be the ultimate luxe combination, and here they are packaged in one tiny, little end table perfect for your tiny living room. Don’t let your coffee table or mantel go untouched; spruce up an empty surface with a sculptural piece. This cool terracotta candlestick is perfect. Contemporary minimalist design meets quite the desirable price tag in this two-seater. Scoop it up ASAP as this sale item is likely to be sold out soon. It may look like you picked it up in an antique market during some lavish trip abroad, but in reality, this colorful bohemian rug will set you back less than $200, depending on your size preference. Swapping out your tired shower curtain for something a little more mod is a tiny update that makes a big difference in your bathroom. And if you don’t need something totally opaque, try this design-forward vinyl option. Is having a black marble vessel for your soap the height of unnecessary luxury? Possibly, but at under $20, you can justify this CB2 purchase. Form meets function with this sleek wooden lamp, which is perfect for bringing some added light to your nightstand. Whereas linen bedding sets can normally set you back a few hundred dollars, H&M’s budget-friendly version doesn’t sacrifice style for its lower price point. The burnt orange hue of this set is particularly striking. If closet space is an issue (in that you don’t have any) bringing in supplemental storage is always a good idea, and this Scandi-inspired clothing rack won’t set you back as much as a full-on dresser would. Think good art is too expensive? Think again. There are tons of affordable art sites ripe for your perusal where you can find the perfect finishing piece, like this large palm print. You might not find a Monet, but you’re sure to find something that perfectly fits your style and budget.